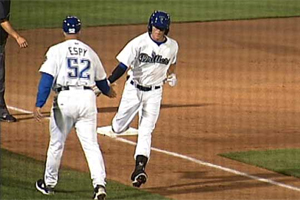 The Tulsa Drillers will be returning to ONEOK Field for a 6-game homestand against a pair of South Division rivals; the San Antonio Missions and Corpus Christi Hooks, beginning on Tuesday, May 30. Both series will mark the first home games against the South Division opponents for Tulsa this season as the Drillers will host the Missions (Double-A affiliate of the San Diego Padres) May 30 – June 1 and the Hooks (Double-A affiliate of the Houston Astros) June 2-4. All three contests against the Missions on Tuesday, May 30; Wednesday, May 31 and Thursday, June 1 will feature a first pitch start time of 7:05 PM. The 3-game series against the Hooks will have the same 7:05 PM start time for the games on Friday, June 2 and Saturday, June 3 before concluding with a matinee 1:05 PM start time for the homestand finale on Sunday, June 4. Individual tickets for the 6-game homestand are currently available for purchase online at TulsaDrillers.com, in person at the ONEOK Field Ticket Office (201 N. Elgin Avenue) or over the phone at (918) 744-5901. LOOKING TO SET THE HOME RUN RECORD: Through the first 45 games of the season, the Drillers lead the Texas League with 58 home runs as a club, 13 ahead of the second-place Corpus Christi Hooks. 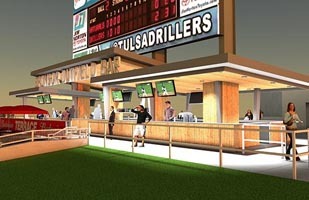 The Drillers are currently on pace to break the Tulsa professional baseball, single-season home run record set back in 2011 when that year’s squad smacked 164 total round-trippers. DELIVERING WHEN THE CHIPS ARE DOWN: The Drillers have scored the second-most runs in the Texas League thus far this season with 207 total, thanks in large part to their performance with runners in scoring position with two outs. The Tulsa lineup has batted a league-leading .269 in those situations, led by Michael Ahmed’s .444 average. But teammates Edwin Rios, Kyle Garlick, Jose Miguel Fernandez, Matt Beaty and Stetson Allie have all delivered there as well as each player boasts a batting average of over .300 in those circumstances. TAKING IT TO ANOTHER LEVEL: Tulsa Opening Day starter Scott Barlow had a solid April, despite not having any wins to show for the month, as he went 0-2 with a 3.24 ERA over 4 starts. But he has led the Tulsa pitching staff with a dominant month of May that has seen him go 2-0 with a 2.10 ERA over 5 starts. In his 30 innings pitched this month, Barlow has struck out 39 opposing batters while only giving up 13 hits. RECORD AGAINST OPPONENT: This will be the first home action for Tulsa against San Antonio and Corpus Christi this season. 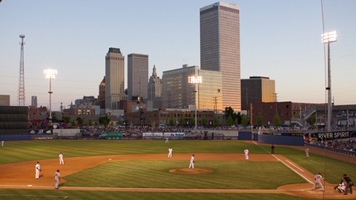 Historically, the clubs have all played fairly evenly in Tulsa as the Drillers enter the homestand with an overall record of 37-37 against the Missions when playing at ONEOK Field. They have an almost identical 37-38 record against the Hooks. This entry was posted in Sports on May 25, 2017 by admin.